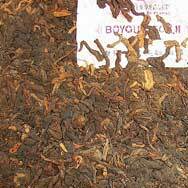 Boyou.0508M is produced using an exclusive blend and fermentation technique by Boyou Tea Factory. This tea cake is compressed using 8th grade, early spring tea leaves that are harvested from high mountain areas in Menghai (1600 meters above sea level). 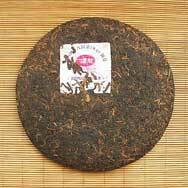 Shu Pu'er Cha from Boyou Tea Factory is recognized as one of the best among all the famous Pu'er factories. A very good tea ! This tea is good. This tea has a natural sweetness and no bitterness. There is no off flavor at all. There is no need to age this tea. The tea cake came to me in perfect shape, well wrapped against humidity. 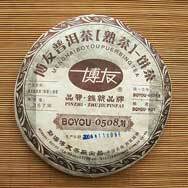 I will eventually buy another as it is a good value compared to most other Pu-erh. Average tea. Won’t order again. Boyou numbered-recipe cakes are a reliable buy.